March 24 & 25, 2017 at AIA Headquarters in Washington DC. Design professionals will learn skills and methods to pro-actively engage in community-based design through fee-based practice. Instructors and special guest speakers will present in-depth case studies of the community and client engagement processes and the outcomes of their award-winning Public Interest Design projects. Successful completion of this two-day intensive Public Interest Design Institute qualifies attendees for 11.5 AIA (HSW) CEUs or ASLA PDHs and certification as a SEED Professional. Preliminary agenda. AIA National, and the M.S. in Sustainable Design Program at the CUA. Bryan Bell and Lisa M. Abendroth have published their new book called the Public Interest Design Practice Handbook: SEED Methodology, Case Studies, and Critical Issues. Whether you are working in the field of architecture, urban planning, industrial design, landscape architecture, or communication design, this book empowers you to create community-centered environments, products, and systems. Themes including public participation, issue-based design, and assessment are referenced throughout the book and provide benchmarks toward an informed practice. This comprehensive manual also contains a glossary, an appendix of engagement methods, a case study locator atlas, and a reading list. Order your copy here. Read more on Impact Design Hub. Did you know that you can earn LEED points through community engagement?! The “Social Equity within the Community” pilot credit, which USGBC launched last year, says projects can earn 1 point through three different methods. The methods listed are to either complete the SEED Evaluator Parts 1 and 2, achieve Enterprise Green Communities Certification, or have the project team create community engagement of their own. This is a pilot credit so show your support for it by using it on your next project. Other social equity pilot credits are “Social Equity within the Project Team” and “Social Equity within the Supply Chain”. 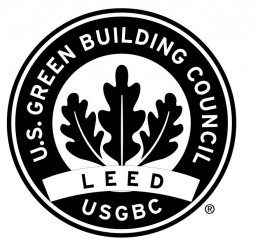 USGBC has been focused on just one aspect of sustainability, the environment. It’s good to see LEED expanding to address the triple bottom line. See details at USGBC. Read more at Architectural Record. PUBLIC INTEREST DESIGN INSTITUTE COMES TO DC! Bryan Bell, design activist and founder of Design Corps, will lead a 2 day Public Interest Design Institute in Washington DC from January 16-17 (Friday & Saturday). A mix of local and national speakers ranging from grass roots PID projects to federal government initiated projects are listed on the PIDI website. The range will give participants in depth knowledge on how to pursue these project types and what resources there are at all scales to get them off the ground. Participants will also receive a SEED certification plus 11+ HSW CEUs and learn more about the Social, Economic, and Environmental Design rating system which helps prepare projects for grants applications. Speakers include DC’s very own public interest design firm Make DC along with the nonprofit/for profit combo firm Inscape Publico and volunteer group Architecture for Humanity DC. Larger organizations, such as the National Endowment for the Arts and Enterprise Community Partners may be participating as well. AIA and AfH members get an early bird discount by Dec 17. Register soon with Public Interest Design Institute, space is limited! Event will be at the District Architecture Center. SEED awardees presented: The Potty Project, Manica Football for Hope Centre, Community How-to-Guides, Can City, Comunidad Ecologica Saludable, and TAEQ Green Building Headquarters.